Happy Friday friends! 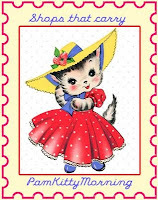 Hope the week was a good one. 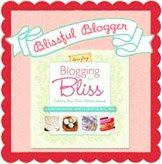 Exciting times here in PamKittyVille!!! 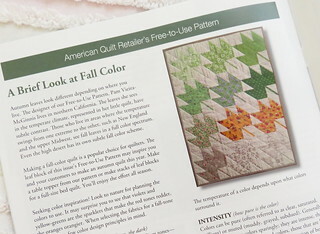 My American Quilt Retailer is here and I'M IN IT! When I was at Spring Quilt Market I ran into Heidi Kaisand . 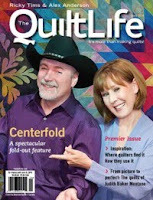 You probably know Heidi for a lot of things if you've been a quilter for a while, and now one of the many hats she's wearing is Publisher of American Quilt Retailer. 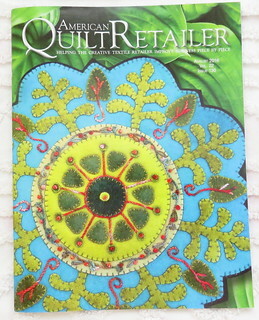 AQR is the quilting industry's premier trade magazine, so it's not available to the general public. She invited me to submit a design for their Free-to Use Pattern program and when I did, she accepted it! Although not necessarily intended as a fall mini quilt, My California Seasons is all about the changing leaves outside my window here in the San Francisco Bay Area. 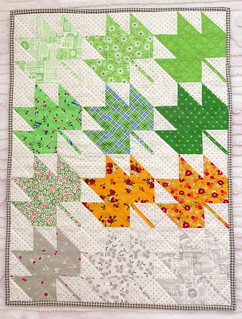 You could make this quilt to reflect the leaves outside your own window. 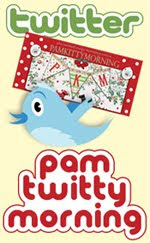 But Pam, you say, how can we make this quilt if we can't get the magazine??? Well happily I have an answer for that, just ask for it at your local quilt shop. 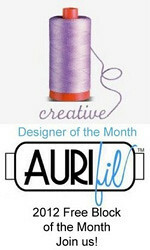 They have access to the free pattern and downloadable pdf direct from AQR. 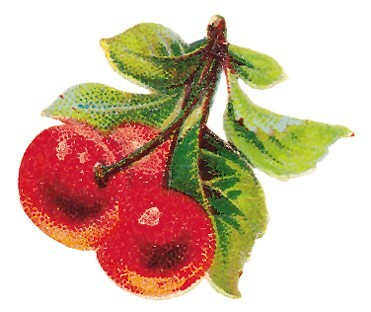 You can also find Heidi at her shop, Hen and Chicks Studio. You can read about Heidi here, and listen to her podcasts here or if you're near Marshalltown Iowa, listen on Radio 1230am at 8:35am Wednesday mornings. In other news, almost as exciting.. I bought a new iron! Like so many quilters, I'm on a quest for the perfect iron. My Olisio was on it's last legs and at the end of last week it spilled it's guts all over my ironing board. 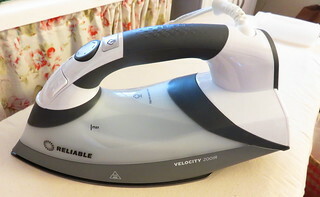 I was on the fence about what to get when I saw Doug Leko post about his new Reliable Velocity 200IR iron and I thought why not? I've tried all the premium irons and the price is right in the same ballpark. Lets face it irons are not an appliance that most people use everyday for hours on end, and so possibly we're just asking too much from them. What do I want? It want it to get hot, have a smooth sole plate and have plenty of steam. Well so far so good! For those who want to know, it does have auto shut off after 8 minutes BUT you can override it! Best of both worlds. If you're so inclined, you can see that iron in action over on instagram here. Yup, it's a nice fresh ironing board cover too. I'll keep you posted!